Goal-striving stress refers to the psychological consequences of seeking but failing to reach upward mobility and is more common among low-income and people of color. Intergenerational mobility—or improved socioeconomic standing relative to one’s parents—may be an important predictor of goal-striving stress for Blacks. We used the National Survey of American Life to investigate the association between intergenerational mobility and goal-striving stress among U.S.-born African Americans, U.S.-born Caribbean Blacks, and foreign-born Caribbean Blacks. 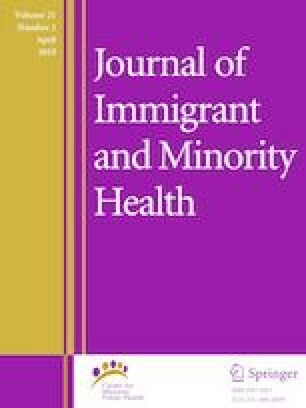 Intergenerational mobility was associated with lower goal-striving stress and U.S.-born African Americans and Caribbean Blacks reported lower goal-striving stress than foreign-born Caribbean Blacks. Goal-striving stress was relatively high among foreign-born Blacks, regardless of level of intergenerational mobility attained. Goal-striving is an important stressor for foreign-born Caribbean Blacks, regardless of their level of educational success. Given increasing Black migration, future studies should disaggregate the Black racial category based on ethnicity and nativity. This study was supported by the National Institute on Aging (P30AG1528) and the Michael J. and Susan Angelides Public Policy Research Fund. Mouzon, Watkins, Perry, Simpson, Mitchell declare that they have no conflict of interest. Urahn SK, Currier E, Elliott D, Wechsler L, Wilson D, Colbert D. Pursuing the American dream: economic mobility across generations. Washington, DC: Pew Research Center; 2012. http://www.pewtrusts.org/en/research-and-analysis/reports/0001/01/01/pursuing-the-american-dream. Kent MM. Immigration and America’s Black population. Washington, DC: Population Reference Bureau; 2007. http://www.prb.org/Publications/Reports/2007/blackimmigration.aspx.